In case you forgot, the average intra-year pullback in the SP500 since 1980 has been roughly 14%, a little less since 2009. 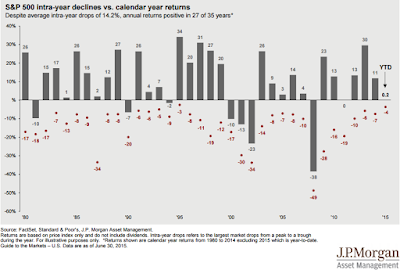 Despite the 14% intra-year decline, the SP500 has closed positive 27 out 34 years, 79%. Draw-downs are painful but unavoidable, means to an end. The market is doing what it is supposed to do, go up AND down not up OR down, stay thirsty. 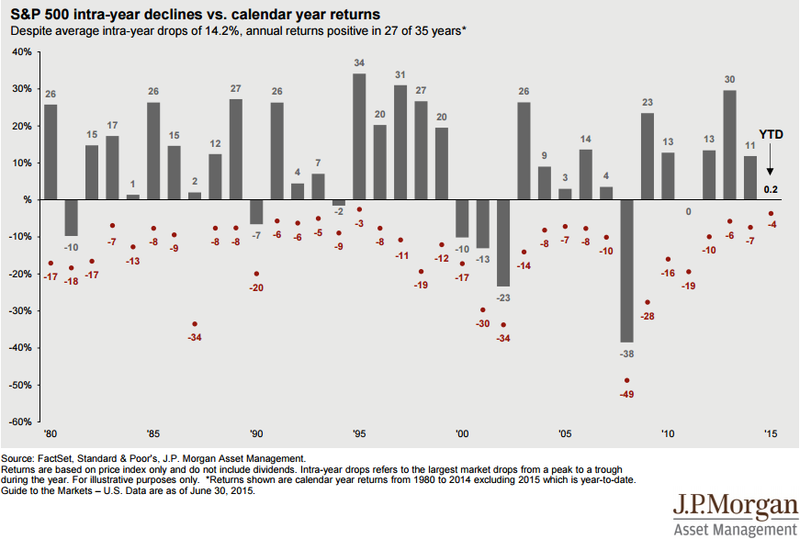 Believe it or not, Tepper attributes his success to these drawdowns. He has been quoted as saying that his fund’s returns are “consistently inconsistent.” And that “it’s one of the cornerstones of our success.” Every year he lost 20% or more, he came back with at least a 60% return the following year (in two of those years, 100% plus).